Well, we've been talking about it for months and now it is only a day away. The World Series of Poker Europe (WSOPE) starts tomorrow and once again we at Pokernews have the exclusive live updates from start to finish in our groundbreaking Live Reporting Section. The series will be held over three venues, all within a few Tube stops of each other, in London. Held at the Sportsman, The Casino Empire and Fifty London, this promises to be a lavish affair to say the least. Never before has a tournament been held over three locations simultaneously like this and has already prompted many a joke about needing to give out buss passes when the tables are balanced. Almost every big name in poker is confirmed, including Doyle Brunson, Phil Hellmuth, Daniel Negreanu, Phil Ivey, Eli Elezra, Gus Hansen and Allen Cunningham. We are also expecting to see a few players from a little closer to home including Roland De Wolfe and the Devilfish. With a £10,000 buy-in there is a tremendous amount of uncertainty as to how big the field will be. It is effectively double the entry of the WSOP Main Event and we will definitely see a significant lack of internet qualifiers. That said this is the WSOP and the lure of millions AND a bracelet will bring a lot of players through the doors. The action starts with a £2,500 H.O.R.S.E event which should bring out all the old school pros and we should expect to see a few names at final table. The £5000 Pot Limit Omaha starts on Saturday and it will be interesting to see if the Europeans can back up their claims to be the best in Europe at the four card version of Hold'em. Both these events will take place at the Empire. Finally the No Limit Hold'em main event begins on Monday and is expected to last a full seven days. Held over the three venues it will consolidate on the 13th at the Empire right up to the final table. However big the field is, there is little doubt this will be the richest tournament in Europe. 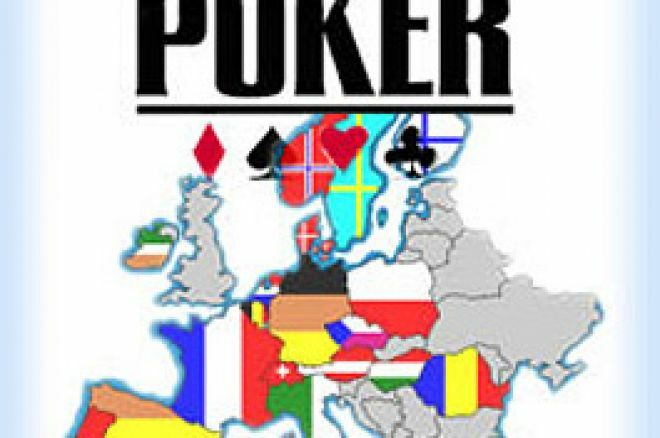 With the ever increasing buy-ins and prizepools in European tournaments, no longer is Vegas the only place in the world to capture poker greatness. The increasing number of US based pros making their way over here for tournaments is testament to that. Whatever happens, it is going to be very exciting and you wont miss a hand with our exclusive WSOPE Live Updates.